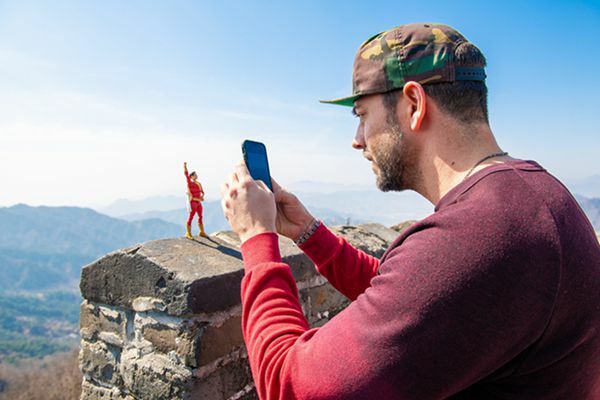 American actor Zachary Levi told China.org.cn that he is actually a big kid at heart and hopes Chinese audiences will have fun watching him play the lead role in the new and different superhero blockbuster "Shazam!" "Almost every role, I think, that any actor plays, you can see part of them in the role," Levi said. "This may come as a bit of a shock, but there's a lot of me in the role, like I barely had to act when I was doing the movie!" Levi added, "But the biggest quality that I share with Billy Batson/Shazam is his heart. When I was a little kid, I always really cared a lot about people. I have always really, genuinely wanted to do good in the world." The latest DC blockbuster "Shazam!" 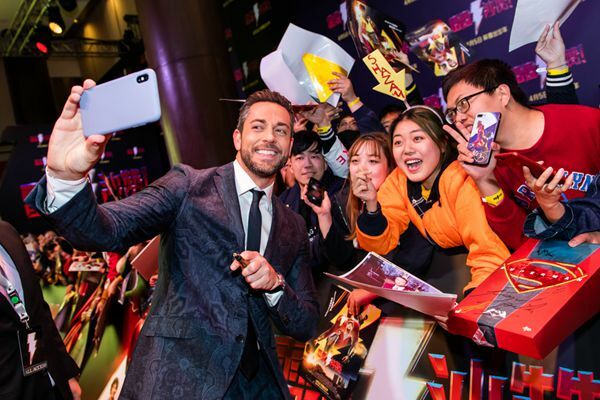 by Warner Bros. Pictures raked in more than 200 million yuan (US$29.78 million) at the nationwide box office in China during its debut weekend. 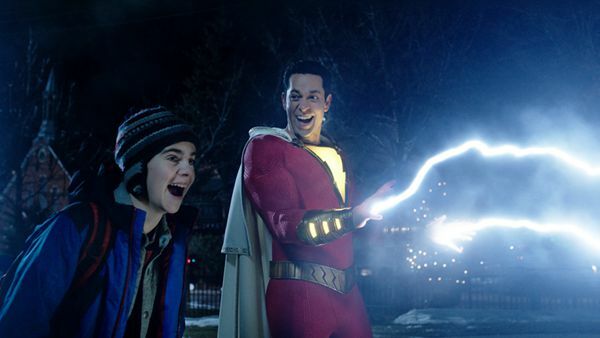 The film, directed by David F. Sandberg and starring Asher Angel, Zachary Levi and Mark Strong, tells the story of Billy Batson, a teenage boy, who was accidentally chosen by the wizard Shazam to inherit his superpower and transforms into an adult superhero. The striking contrast of being a child in an adult's body leads to many funny moments and makes this film more alternative and fun than some of the darker and more serious superhero movies in the DC Extended Universe. It's quite possible that there may be no other actor who can embody and portray the characteristics of Shazam more than Zachary Levi, both in the movie and in real life. On March 25, Levi came to Beijing for the first time to promote the film and at the premiere, he displayed a host of childlike antics. He made all sorts of funny faces on the red carpet and also imitated poses of Elvis Presley on stage. 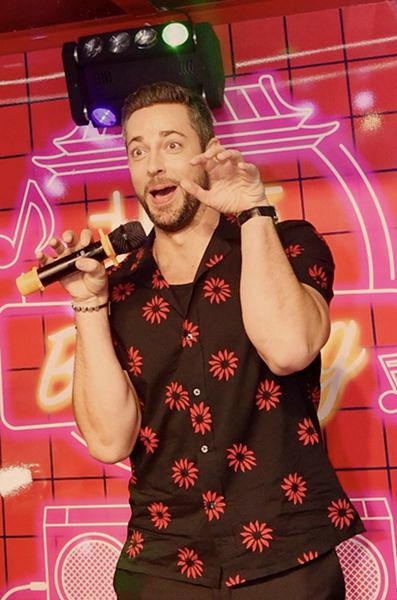 After the premiere event, he went to the famous neighborhood in Sanlitun to experience Beijing's chic city life and tried Chinese milk tea, checked out a comic book shop, played with crane claw machines, sang in a karaoke and even ate some spicy hotpot dishes. "I'm just a big kid. I think that's really how I got the job," he laughed. Levi admitted that he tried to take responsibility for his life and actions in more serious matters that require him to be mature. But for other things, he said he would just like to stay silly and enjoy life as much as he can until he is 95 years old. Having a childlike nature also influences Levi's thoughts and behavior. For example, he vowed that if he needed to choose a super power, he would rather choose the power of teleportation rather than flight. "Flying is cool, but the problem with flying is that when you take a vacation, there's a lot of travel time involved. You need to have super strength if you want to bring all your luggage or any of your friends with you. Teleportation will make everything much easier." Although the film is easy to watch and fun, the history of "Shazam" is quite the opposite and was fraught with many legal and copyright disputes. The character was created in 1939 by artist C. C. Beck and writer Bill Parker, and was originally named Captain Marvel. In 1953, Fawcett ceased publication of its comics, partly because of a DC Comics' copyright infringement suit alleging that Captain Marvel was a copycat of Superman. In 1972, Fawcett sold the character rights to DC. 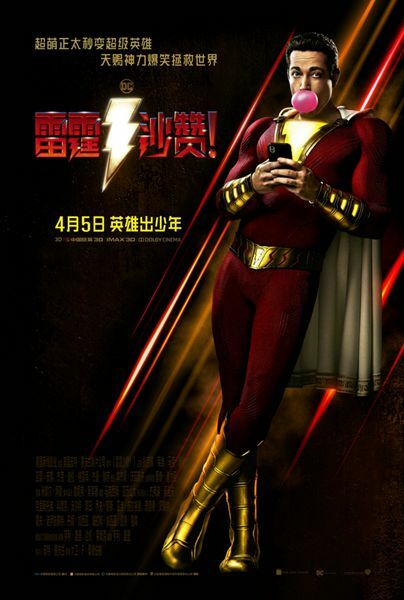 But again, due to another trademark conflict over other characters named "Captain Marvel" owned by Marvel Comics, DC had to brand and market the character using the trademark "Shazam!" since its 1972 reintroduction. Interestingly, Disney/Marvel Studios released "Captain Marvel," the female-version of the same title, which raked in 1 billion yuan (US$149 Million) at the box office in China. The original Captain Marvel "Shazam!" is now catching up and showing a lot of potential after last year's unexpectedly popular blockbuster "Aquaman." Levi also appeared in Marvel Studios' "Thor: The Dark World" and "Thor: Ragnarok" as Fandral, a charter member of the Warriors Three. When asked about the feeling of moving from Marvel to DC, he said that he was much happier. Fandral was not an important character and he died in the third Thor movie without any spoken lines. But when the producers of "Shazam!" approached Levi to audition him, he jumped for joy. "If I hadn't been killed (in 'Thor: Ragnarok'), I'm not sure if I would have been available to play Shazam. So I was really happy they killed me," Levi said. In his opinion, "Shazam!" should resonate more with audiences than some other superheroes. "We might not all be able to relate to an orphan billionaire who lost his parents nor an alien from Krypton who is incredibly powerful and is trying to adapt to living on earth. But we can all relate to being a kid. We can all relate to fulfilling wishes, that is what happens in the movie and what would happen if you gave a kid a superpower." According to BoxOfficeMojo.com, "Shazam!" raked in US$53.5 million at the box office in North America, and took in US$156 million worldwide. On the movie review site, Rotten Tomatoes, the film has an approval rating of 91 percent based on 297 reviews. Matthew Rozsa with Salon.com praised it as "the funniest, sweetest and most innocent movie in the DC Extended Universe - a sign that it is at last ready to compete with Marvel." "I don't know if we are the most fun DC movie or what that actually means," Levi said. "I think that fun means different things to different people. I think some people think the most fun DC movie they ever saw was 'The Dark Knight Returns' because to them that's more fun. Maybe we do have the most comedic elements, the most heart, youth and joy, and all of those things that can be considered the most fun, perhaps. I'm really just so grateful that I get to play this character and I hope that it is a good addition to the rest of the Justice League, especially to the people who supported and believed in these stories for so long."